Household waste is causing widespread devastation to the environment. Recycling and upcycling are a habit that you need to instil in your child to, not only reduce waste generation but to, encourage your child’s creativity as well. 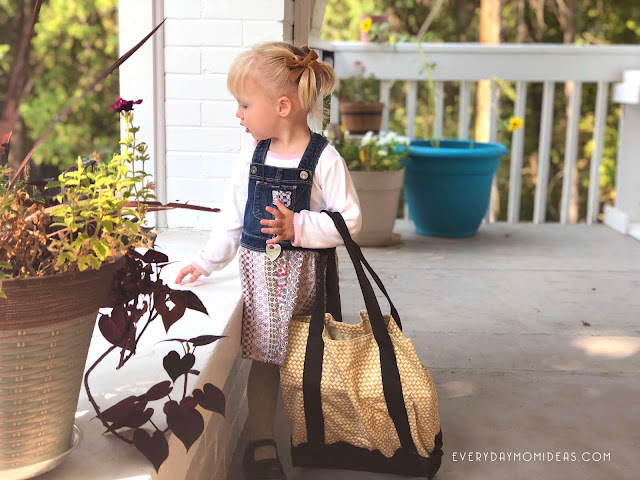 When you visit shops, you might usually be carrying your own reusable carrier bags, but there are times where you bring home carrier bags from the shops. Instead of throwing away these carrier bags into the recycling bin, you can spend some quality time with your child up cycling them. • Take a plastic bag and cut it from two sides side to unfurl it. • Once the plastic bag is opened up, draw a kite shape on the bag and cut it out. • Take two light wooden or plastic sticks, one longer than the other. • With some duct tape, stick the longer stick lengthwise. The top of the stick should be touching the top tip of the kite shape, and the bottom end should be touching the bottom tip. • Stick the other stick breadthwise. One end of the stick should be secured to the left tip of the kite and other to the right. • The sticks should be forming a plus shape. Secure the sticks with a string at the point where they are intersecting. • Poke two holes where the frame is connected. Run a string through the holes and tie a tight knot. 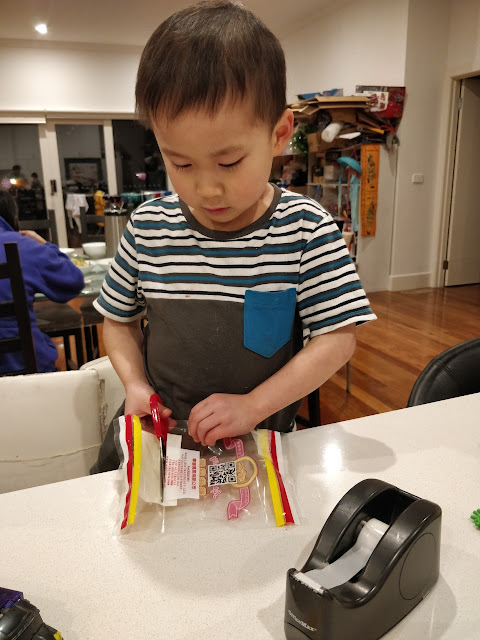 • Cut strips off of the rest of the plastic bag left to make the tail of the kite. • Attach the tail of the kite to the bottom of the frame. • Permanent markers or light paint can be used to design the kites. Go out and let the kite catch wind. You can buy printed cotton bags online or get them at stores. When shops buy printed cotton bags online, they hope the bags do not end up in the landfill. Once you buy printed cotton bags online, you can use them to make throw pillow covers. • Cut off the handles of the bags. • Measure your pillow and draw the measurement on the bag. • Cut and stitch the sides of the bag depending on the size of the pillow. • Turn the bag inside out. • Sew a zip onto the open end of the bag. • Sew on any decoration you want or use fabric paint to design it however you want. 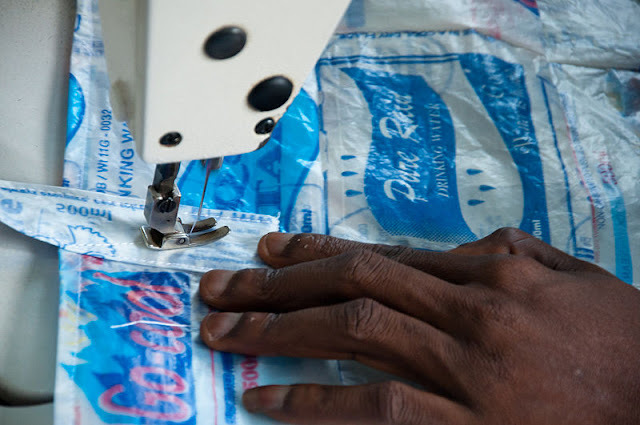 Making a bean bag can be a little time consuming, but when you buy printed cotton bags online, you can reuse them to make bean bags and fill them with various material. You can cut off the bag handles and cut open the bags. Then you can stitch many fabric bags together to make two big rectangular pieces of fabric. You can follow instructions to make a DIY bean bag and stitch a bean bag using the upcycled fabric bags. Along with the beans, to fill the bag, you can make use of plastic bags and the leftover fabric pieces. There are many more art projects that you can try out to help upcycle carrier bags. All you need to do is get creative.